Have you ever wondered how to create great content for your blog? This is a 2000 words guide with 15 steps to help you writing articles with real added value for your readers. Planning is very important not only in your daily or business life. Before you start writing you have to know what you want. Should it be a promotional article? Or maybe you want to share your experience about something? Is it a simple story for your readers? Do you want to make them cry? Or laugh? Or maybe you want to arouse interest about something? You should answer these questions before you start writing your article. Answers to these questions will give you an idea, what is the goal of your article. And having a goal is a must, even in copywriting. There are a lot of things which may distract you from work. Especially freelancers (bloggers, online marketers, SEO specialists) who spend most of their work in front of the screen, are in danger. So it’s very important, before you start writing, to finish all of your other tasks, clean up the desk and switch off your mobile phone. This is a great tip that works for me: „Use a PC without the Internet connection”. With a little effort, you are free from incoming emails, social media, and other online temptations. I assume that you know the subject matter of your article. But even if you are an expert, it’s worth to do some research about it. You should check in your favorite search engine what’s hot, and what’s not. You can do it also on blogs you are following via RSS. Below you can find some resources which I use to find hot topics. If you want to write your article not only for readers, but also for search engines, you must think about proper best keywords for your article. And best keyword for me means that there are a lot of searches for that keyword, and competition with the keyword is not too high. There is a lot of tools, you can use it. Some of them are free, and some aren’t. Most famous free tool for researching keywords is Google Keyword Tool. This tool is ok for me for three reasons – it’s free, it’s simple and you can use this tool on each computer, which has access to Internet. For some time I have used a paid tool, Market Samurai. It’s not free (it costs 149$) but there are discounts and it can cost you only 97$. What’s more, you can download your free trial version here. 5. Great Headline is a Key! The headline of your article must attract internet users to click it. There are tons of blogs, portals, and article hubs. What is the most important thing in choosing what to read (except author’s name) is the headline. It’s similar to first impression – you can like the title or not (if you don’t like the title, you won’t read it). Title of your article should not only arouse interest to your readers – it should be also SEO friendly. Your headline may be controversial, with a question, provoking your readers to answer – almost everything is acceptable here. People love to read lists. Even going shopping they prepare a list of goods to buy. So why not make them happy? Besides, posts written as a list are easier to read. Even preparing a great headline for a list is very easy. So, how you can prepare your list? Find three to ten important points you want to raise in your article. If you find more – it’s okay, but your article will be longer and probably will take you a lot of time (but maybe it will be a killer article?). Write down these points and fill them with content. This technique is very simple – write for twelve minutes, take a two-minute break, and repeat it three times. If you need less or more time for writing an article – you should repeat the process less or more times. 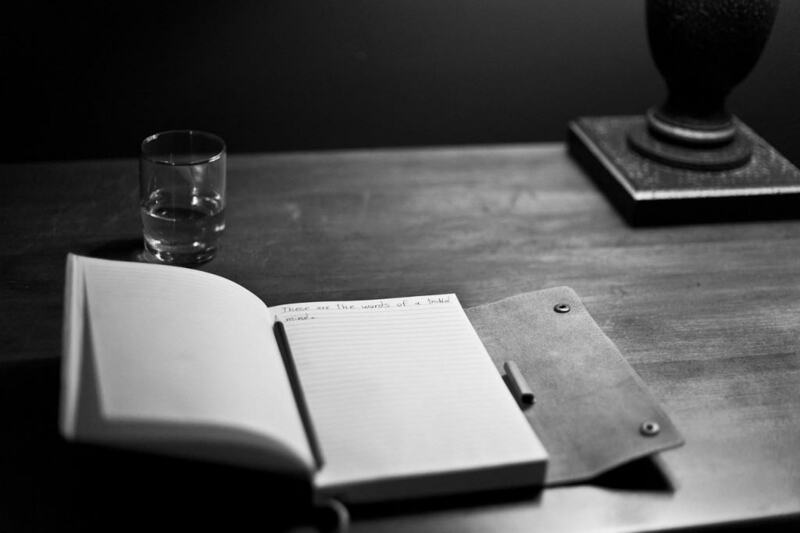 But remember – for 12 minutes you should write and only write, without exceptions. After that, you will get a two-minute break, when you can do something else (but I recommend you to stay on the computer). For counting minutes, you can use a timer on your clock or smart phone. Even a kitchen timer may be good for this technique. You may think – are you joking? Of course, I’m writing for them. Maybe you are writing for your blog, for Google or for yourself? After reading this tip, you may be a little bit confused. In the 4th point of this guide I wrote that you should write not only for readers, but also for Search Engines. It’s true as long as you remember that writing for your readers is in the first place! I’ll tell you one secret – writing killer articles is not enough today. It’s especially important these days – we have a lot of bloggers and tons of blogs, which compete with others for the audience. So, what shall I do? – you may ask me. Each blogger must decide how he or she wants to charm their visitors. If you don’t have any idea – below you can find some tips, how you can attract readers to your posts (you can find more tips at this link). Of course, you can choose only one or few of them. You should write your articles as good as possible. I’m telling you this second time: there are so many other sites and blogs on the web, that it’s not enough for your article to be the killer one! So you should save time of your readers if you are writing about something, but you don’t have time to explain it in details – refer to it by linking to the proper source. If you don’t know where it is, you should find it and share this knowledge with your readers. On the other hand – respect the time of your readers. So be clear about your ideas, construct simple sentences and don’t repeat over and over again. In a few words: Don’t waffle! As I mentioned in the first point of this guide, each article should have a goal. Placing call to action will give you an opportunity to ask the readers about fulfilling your needs. Even if you don’t know what you want from your readers, you should familiarize them with a call to action – maybe in the future it will help you in your business? If you don’t want to lose your readers, subscribers or potential customers you must write without bugs and misspellings. So now it’s time to check your post. You should read your article at least once and mark all errors or misspellings. Next you should check it in your dictionary (or in Google), and correct all. If you have some time, you can read it once more. Tip: I use Grammarly, to double check for writing errors. Even a short break is really important for your mind. So, stand up and go to the coffee room or to the kitchen. If possible, you can even talk with somebody – but remember your goal – you need to write an article. So set a time limit for your break – five minutes should be enough for it! Your article is almost ready to publish. Now it’s time for improvements and for formatting your post. Your article should be readable – think about it as a brochure – is it easy to read, understand and find the main points? There are only some little steps to take before sharing your ideas with your audience. Add some related images, photos or videos to your article. Format your article – make points, paragraphs, etc. OK, your post is published. But you need a lot of visitors, who will read your content. Unless you are an A-List Blogger, you must promote your blog and articles by yourself. 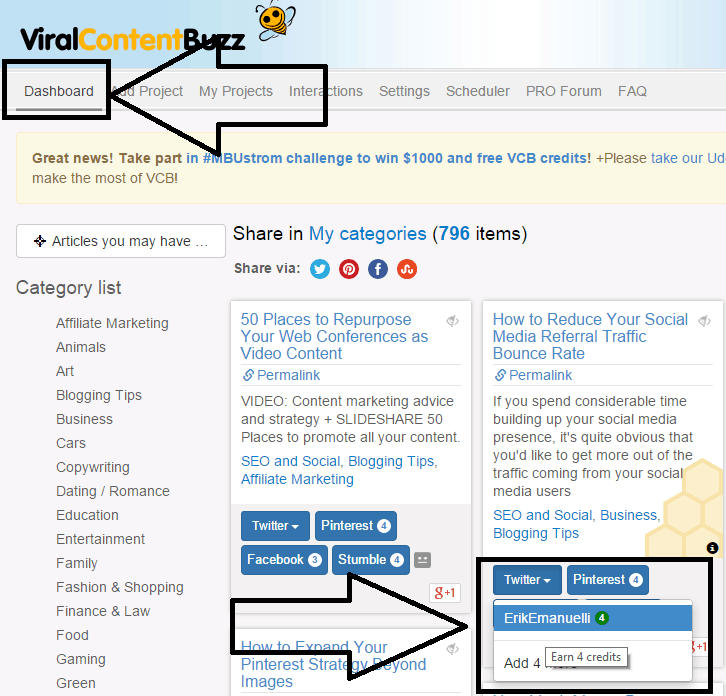 Now you are ready to create great and engaging content for your blog. If yes, you can share it with your friends or followers. Thanks to Chris Madej, previous owner of this blog, for this fantastic content. #3 I’d like to add that even the comments or questions raised there, and even in forums can help in deciding your next post topic. A killer headline and the right meta description bring in the crowds from the search engines, if you have used a little SEO to make your posts reach there for sure. Yes, list posts work well, and so do the How-To’s or the controversial kinds. #7…lol…I never could manage sticking to the work-break time recommended by many and that’s because being a mom and working from home, I need to use all the time I have in hand to write, whenever that happens! So, time management is the key here for me – I’d rather sit for an hour or two and write continuously, and then get up to cook for the family or do other household chores, which becomes my break-time, and it’s worked well so far. Agree with you – your readers are what should come foremost for you, so writing for them is the key, and the more variety you use, the better your posts become. Grammarly is wonderful indeed, and helps in editing and even checking out plagiarized sections, if any. Yes, publishing is still the easy part, it’s the social promotions that take a LOT of time, but then, if you want your posts to reach the masses, you need to carry them there, isn’t it? Wow, so you can write and work online without being distracted, right? I appreciate you adding that suggestion. Asking your readers about the next blog post topic is a wise idea. Not only for that, but also for increasing engagement and interaction with your audience. Using a paid tool is important for a niche site project, I think. You can spot a few long tail keywords out of millions of choices in a matter of minutes. I think that you can learn how to write for your readers, while still optimizing your posts for search engines. SEO can be learned over time, the same for your writing skills, can be improved with practice. But the passion is inside yourself. You’re really good at time management. As a mom, you are doing a great job, switching from your family duties to your work online. Readers and comments are so important for blogs. I’ve seen good articles without any comment, and they really look like uninteresting posts. I started using Grammarly for a few weeks already, and I must say I’m really happy with it. It can find right away some mistakes that you did not notice. Thanks for taking the time to read and comment Harleena. Asking your readers is one way, though I meant that through the comment sections or on forums, the questions raised by the commenters etc, can lead to a new post idea. We need to learn a lot from you, Harleena. Thanks to remind me again about asking questions to commenters, in order to find new blog ideas. This is clever, not just for getting new article topics, but also for increasing interaction. Thanks for sharing useful information and I like your post and i am totally agree with you..
Great to hear that, Rahul. Wow, what a post! I love this. Already shared this on G+, FB and Twitter. Planning the content and purpose of our post is much needed. Because without planning we may end in an article with no audience. For me, the greatest distraction is television and messages. When I am keenly reading or writing, noises from TV catch my attention and so focus loses. Even after shutting the door, this happens often. Inserting proper keywords is the task comes in SEO. There is no truth in the death of SEO. I know it very well as I am getting a decent organic traffic. But we have to be very much careful about the placement of keywords. Too much of anything causes danger. First impression is the best impression. So having a compelling title is significant. Enstine Muki is a perfect example to this context. His titles take our interest. Hence, his articles get a good readership. I personally love to read posts which have title with a number in it. Listicles are the evergreen trend in blogosphere. My favourite part comes next. I love the rule of (12+2)*2. Thanks for this valuable tip. I am going to follow this rule from this moment itself. This is an extension to a former tip. Over keyword stuffing may cause our blog to be penalized by Google. So it’s good to write for readers. 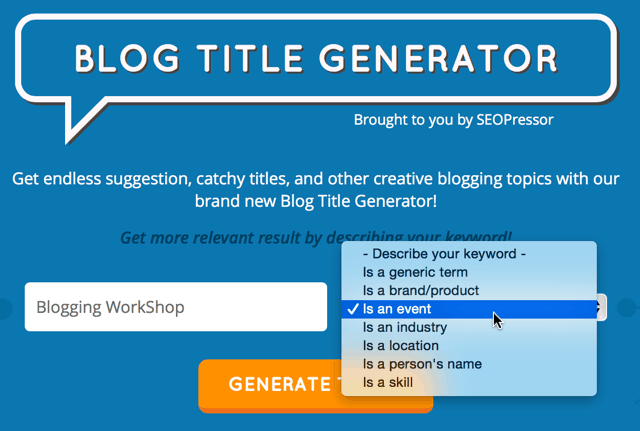 I also heard another tip that is “write longer posts which will automatically include all necessary keywords”. Mixing content has something to do with SEO, right Sir? Videos and graphics have a vital influence on SERPs. Will try to add some videos. Call to action aka CTA is the magic wand of bloggers. That gifts us leads, sales and all we want. Errors keep loyal readers away. Everyone wants perfection. So better not to commit any errors with our content. I also check Grammarly soon. Break is really helpful. I also did a post on this topic (one of my first posts). It revamps our mind and ideas. Formatting our post is important, much important. It should be engaging and readable. Unless we taste bitterness. Promoting is most significant. We have to work hard for promoting than writing. Thanks again sir for this awesome content. These are my views. Pardon if any errors are done. what a long comment, thank you! First, I appreciate you sharing the post all over your social network accounts. Glad to hear you enjoyed the content. Do you know my “secret” to avoid distractions while working online? Those sponge devices you can put in your ears to protect you from loud noises. You can hear sounds, but very muffled and distant. You’re right about doing proper SEO. Too many keywords? You get a penalization. Too low optimization? You can’t be found in search engines. I was suggested to take an SEO course from a very expert person in this field, very popular in the blogosphere. I definitely going to get it. You can always learn a lot. Yes, Enstine is great in what he does. Catchy titles, new ways to make money online, special projects. He’s a volcano of ideas. You’re right, adding relevant media, like images or even better videos, enrich the content, and the user experience. I always try to add something useful to my articles. Well, thanks again for sharing your views, and I appreciate your kind words. I have to laugh at the second point because I was distracted for the last few days. No matter what I did, I couldn’t get any work done. And then I had to force myself all Sunday to work on my post … never want to do that again. But yes, time free of distractions is key. Hope I;ll do a better job this week lol. Great points you raised here. Especially regarding the editing. You have to make sure to do that … at least a couple time before you come out with the finished content. sometimes it happens, as we’re surrounded of distractions! I think the editing is the part of blogging I need to invest more time. I think I can always improve my posts. Thanks for taking the time to read, comment and share. These are really awesome tips for producing more great content. It is really not easy to write a content that help readers, engage them and rank better in SERPs. You mention here some great tips and found some new and unique that will help me to write some awesome contents for my blog. To add, for grammar, I prefer paperrater, you may check it out. I am going to implement 12 minutes writing technique. You covered almost everything. Keep on writing buddy, take care. thanks for adding that resource. I hope the other readers will find it useful. Glad you enjoyed the post, thanks for commenting! These tips are really useful to create content that will help bloggers to take their blog to the next level, You have covered every thing to create great content. Thanks for the feedback, Kuldeep! That is a great presentation.The way a blog post is presented will definitely drive people away or to the blog which will have end results well known there after.I totally agree that the blog content should speak to people and make some relevance.This will attract more readers and in the end have a beneficial impact. glad you confirmed the points in this post. the hardest for me is #2! As per #2, I use earplugs. At least, it helps me avoiding distractions of sounds. Time management is really important for everyone working online. Amazing post Erik, you’ve nailed the topic! I agree with your every point especially writing in a distraction free medium by doing proper research with an eye-catching title. Of course, we should have readers in our mind while crafting the blog post. I’m following most of the ways which you’ve mentioned here to make my blog post and I liked the (12+2)*3 technique to write the posts. I never tried it before! It is indeed needed to correct the mistakes and verify the written information are factual. Adding the personal touch and call to action lines would nudge the audience to engage with our blog posts. I never deny accepting the power of promotion, we should spend quality time to spread our content. thanks for being here reading and commenting my post. Marketing the content is all about connections. They really help in this matter. Social media is great, but having ten of hundreds of visitors via search engines is even better! Appreciate you sharing your views and spreading the word via your social accounts. Hope you are having a fantastic weekend, Nirmala. The best post i have ever read, very useful and informative post, i already started to implement some of your tips. I really appreciate your kind feedback. These are some great tips for creating great content. Headline is always the key to getting that important click. Writing for your readers is the second most important thing. Most bloggers make the mistake of writing for the search engines and stuff too many keywords. The keyword density should always be kept in mind while writing for your audience. Write first for your readers, then for search engines. Catchy blog titles always attract the curiosity of more people. Then you need to provide good content, of course! Thanks for sharing your views, have a good sunday. Wow.. this is one of the great and very useful article for me.. Especially the word “Grammarly”, I heard first time and it’s really needed for me..
You should start using it, it’s really useful Kalisttaa.